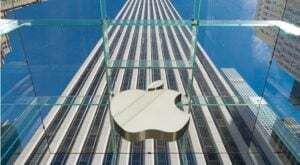 Apple Inc. (NASDAQ:AAPL) stock is up almost 30% this year, closing yesterday at $145.74 per share. AAPL stock now changes hands at slightly more than 17 times earnings. Admittedly, this may not seem like much in this market, with the S&P 500 Index trading at nearly 24 times earnings, and the Dow Jones Industrial Average at almost 21. But as I mentioned in my article a few weeks ago, Apple stock doesn’t look too cheap relative to where it’s been over the last few years. Is this a reason to sell Apple stock? Maybe, if you’re an investor with a shorter time horizon who might need cash soon. But if you’re in AAPL stock for the long haul, then I would say no, probably not. Apple strikes me as an excellent stock to buy and hold. Timing the market is difficult, and over a longer time horizon, you’re better off staying invested. In case you didn’t already know, Warren Buffett bought shares in Apple last year, and increased his stake earlier this year. As of March 31, Buffett’s firm, Berkshire Hathaway Inc. (NYSE:BRK.A, NYSE:BRK.B) held 133.65 million Apple shares, about 2.6% of the total outstanding. As you may already know, Buffett is one of the greatest investors of all time, having beaten the market for decades. According to his most recent shareholder letter, from 1965 to 2016, S&P 500 gained 12,717% (with dividends reinvested), certainly nothing to laugh at. Berkshire Hathaway stock returned 1,972,595%. Apple stock could see a correction in the near-term, but I still see it as a long-term buy. The Oracle of Omaha isn’t infallible, but people generally don’t make good money by betting against him. So how does Warren Buffett choose stocks, and why did he pick Apple? Benjamin Graham, who helped pioneer value investing in the early 20th century, played a major role in influencing Buffett, who once described himself as “85% Graham.” From him, Buffett learned to buy stocks that traded at discounts to their intrinsic value and hold them for the long-term. But Buffett also was influenced by Philip Fisher, who believed in only investing in companies with great business prospects. And, as Mary Buffett details in Buffettology, her former father-in-law also liked the ideas of Lawrence N. Bloomberg, who advised buying shares of companies with “consumer goodwill,” such as leading brand names. Buffett has made it clear that he only wants to invest in great companies, businesses so good that they could be run by an idiot. And as I mentioned in March, he said that it’s better to buy a wonderful company at a fair price than vice versa. One of Buffett’s favorite stocks is The Coca-Cola Co (NYSE:KO), one of the world’s most valuable brands. That brand makes it very difficult to replicate Coca-Cola and gives it a long-term competitive advantage. As a result, Coca-Cola tends to do well year in, year out. A recession might make people postpone buying a new home or a new car, but they don’t really cut back much on the amount of soda they drink. Does Apple qualify as a great company with a solid business? I would say so. Apple consistently ranks as one of the world’s most valuable brands, and iPhone users are fiercely loyal. Apple boasted a much higher retention rate than Samsung Electronics (OTCMKTS:SSNLF) and topped surveys of customer satisfaction. Despite years of trying, Android-based competitors can’t seem to copy Apple’s winning recipe. The firm accounted for 79% of global smartphone profits in 2016. Warren Buffett isn’t exactly known for investing in technology companies. He avoided investing in dotcom stocks in the late 1990s. The market proceeded to eventually push Cisco Systems, Inc. (NASDAQ:CSCO) value to $550 billion, causing some to think Buffett was missing out. People thought Buffett’s methods were outdated, but eventually he was vindicated when the bubble burst. Buffett probably doesn’t see Apple as a technology company; instead, he probably views it as the world’s #1 consumer goods company; which it is. Apple sells a high-quality product at margins well above the industry average. It has brand appeal that competitors would kill for. Customers are fiercely loyal and refuse to switch. And like Coca-Cola, rivals can’t seem to replicate Apple’s winning recipe, no matter how hard they try. Article printed from InvestorPlace Media, https://investorplace.com/2017/07/why-buffett-loves-apple-inc-aapl-stock-and-you-should-too/.